Hello new favorite hoodie! 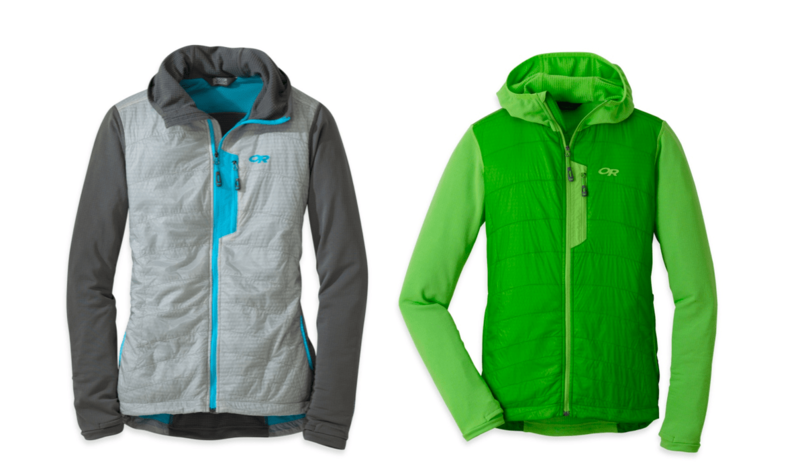 No wonder the Outdoor Research Deviator Hoodie received Backpacker Magazine’s 2015 Editors’ Choice Award, this woman’s hoodie has all the ingredients of the perfect hoodie – thumbholes, a tight-fitting hood, deep pockets, and a comfy, slim-fitting design. The Deviator has a unique hybrid mapped design making it perfect for spring backcountry skis, alpine ascents, and cool weather trail running. The front and sides use the quick-drying and breathable Polartec® Alpha® insulation to keep your core warm and the arms, hood, and back use Polartec® Power Grid™ stretch fabric to keep you moving freely about. The Polartec® Power Grid™ also wicks moisture where you sweat the most and keeps you comfortable and dry and the stretch mesh lining helps keep everything from getting soggy on the inside. Best part is the thumbholes, which have a bit of extra fabric reinforcement that should keep them from getting worn and frayed. I seriously wish all of my clothing had thumbholes! 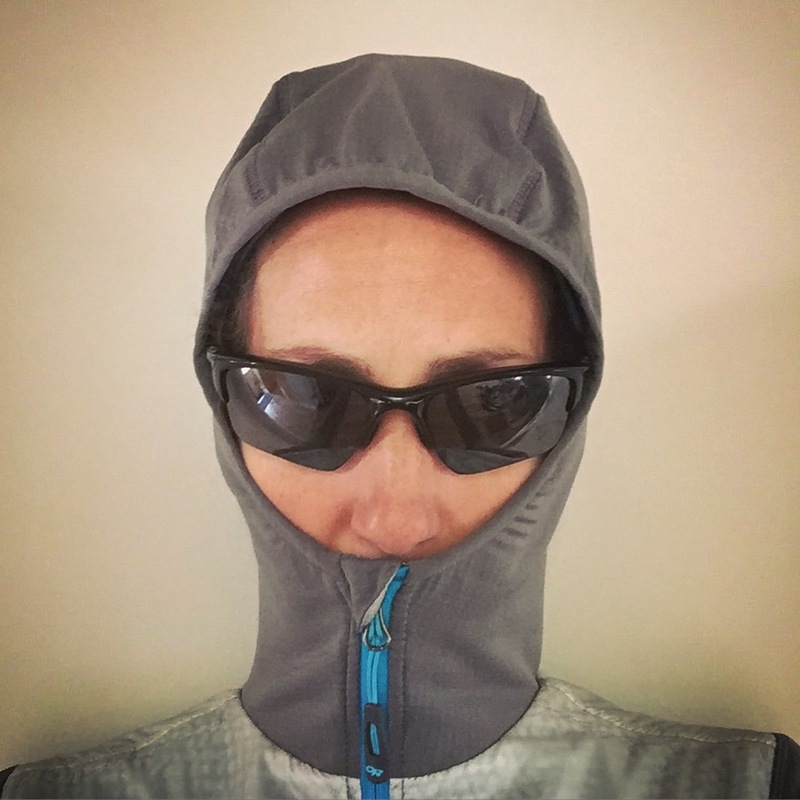 And the hood is great, it is tight fitting and the zipper comes up all the way to my nose to protect the face a bit during a cold snap. For 2016, the Deviator is available in flash apple green, purple-ish ultraviolet, cornflower blue, and the color I chose – alloy/pewter, a silver front, gray sleeves, and blue zippers – so cute! Only difficult thing was choosing the proper size. The small size fit me perfectly in the chest and arms, but was a little lo0se at the bottom. The extra small was a little tight in the chest and short, but fit me perfectly in the hips. I would have preferred an XS and a half, but I went with the small since I will typically be layering underneath anyway. The poofing at the hips is driving me a little crazy, but I do enjoy the little extra coverage over my bum. I’m seriously wearing the Outdoor Research Deviator Hoodie as I type. When I first put it on I knew it was going to be one of those jackets I’ll never want to take off. 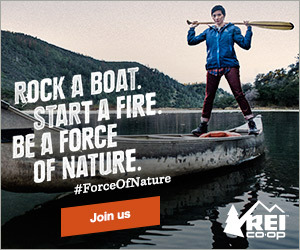 I’m psyched I tried it out because it will be an excellent travel companion for my adventures in the Alps this summer. I’ve only been wearing the hoodie for a month, although daily, so I will update this post as time goes by to comment on how it holds up.